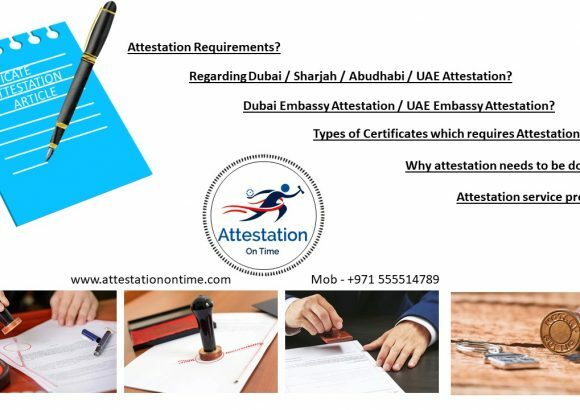 Attestation Services Dubai- A majority of the general public do not still understand the purpose and the reason for an attested document, as well as the services offered by an attestation firm and the process of the confirmation and the verification of the document. To understand the latter two, you would have to analyze and learn the objective of an attested document. The whole reason a document of any kind requires an attestation is to examine and verify the authenticity of the document. This is the fundamental idea behind the reason to get a certificate attested. We live in an unfortunate era where it is relatively effortless to forge a document illegitimately for a certain amount money. To weed out these forged documents, the process of attestation could be utilised. However, the verification service is most prevalently used for travel and migration purposes. To ease the hassle of the foreign embassies verifying the document themselves, an attested document would be sent by yourself, to minimize the delay and the duration of the migration process. If you do have to send a document that has not been attested, you may be subjected to the possibility of a rejection, in which case, you would have to undergo the process of applying for a migration all over again. To ease to process, every certificate, from your birth to your death and everything in between could be attested. The process of attesting a document, however, varies from the type of certificate that is to be attested. Every document and certificate demands a different process. This is made obvious in the context of comparing the process to attest a birth certificate to the process of attesting a death certificate. In a country like the United Arab Emirates, there is a certain procedure you would have to comply to, to get your document attested by the government. First, you would have to attest the document or certificate in your own country, before you hand it over to the officials in the Emirates. In addition to attesting the document in your own country, you would also have to get your certificate attested from the U.A.E embassy of your native country. You would then have to present your document to the Ministry of Foreign Affairs for the verification of the documents and for you to receive your visa swiftly. This is the process of attesting a document. However, rather than you prowling through the procedures yourself, you could benefit from an attestation firm who would complete the process for you. Attestation Services Dubai – The process of each of these services do vary from each other, and the attestation company would ensure, the fact that, the required procedures have been followed according to the laws that have been passed by the government. 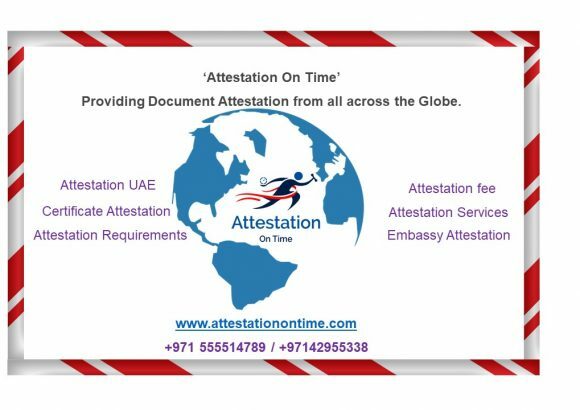 There are a number of Attestation Businesses in the Emirates to satisfy your documentation needs. All you have to do is choose the one that regards their customers with importance and significance.